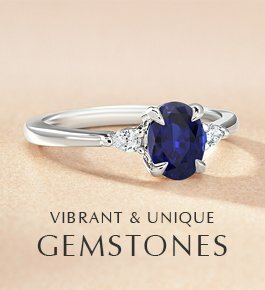 Classic and brilliantly sparkling, diamonds are the most popular center gemstone choice for engagement rings. Diamonds are offered in a wide variety of shapes, tailoring to the distinctive style of the wearer. Diamond shape refers to a diamond’s physical form, and is often one of the first attributes that couples consider when shopping for a diamond. 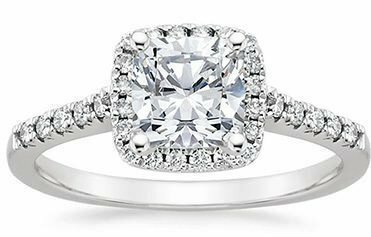 While round diamonds are the most popular choice, many couples are also drawn to the distinctive look of non-round, or “fancy shaped” diamonds. Fancy shaped diamonds include princess, cushion, emerald, asscher, radiant, oval, pear, and heart shaped diamonds. Each diamond shape has its own unique characteristics and is cut to different specifications, which impacts the overall look of the stone. Diamond shape is often confused with the cut, which is one of the 4 Cs (Cut, Color, Clarity and Carat). 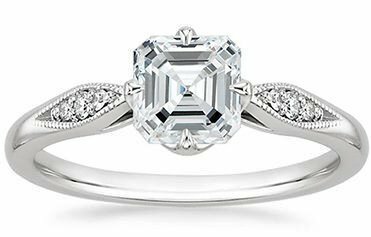 Though diamonds are cut to create different shapes, and different shapes may lend themselves to either brilliance or clarity, the term “cut” refers to the way light is reflected throughout the individual stone through its facet arrangement. The cut of the diamond determines light refraction and sparkle and scintillation. 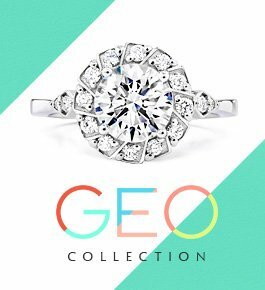 When selecting a diamond, we recommend choosing a diamond with a cut grade of Very Good and above (Very Good, Ideal and Super Ideal) to maximize sparkle. 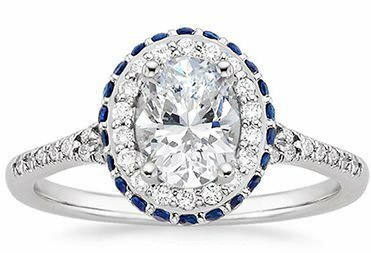 75% of diamond engagement rings feature a round center stone. 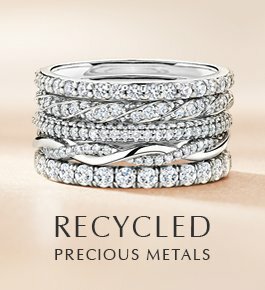 The modern round brilliant cut was invented in 1900. 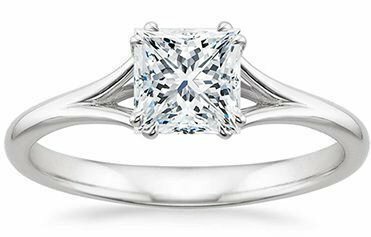 Cushion cut diamonds combine the appeal of a square cut diamond but with soft, rounded edges, lending this shape a romantic feel. 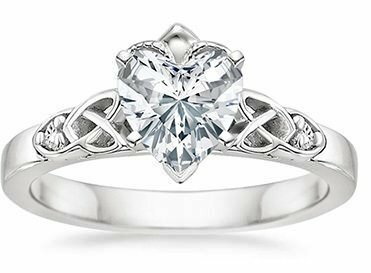 This timeless shape is derived from the old mine cut, and has been refined over hundreds of years. 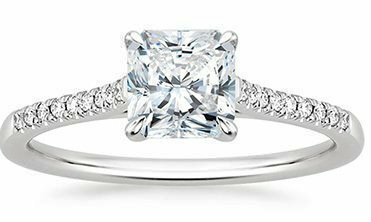 Cushion cut diamonds are a beautiful choice for any setting style. 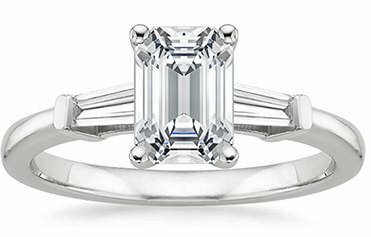 The asscher cut features a square shape with cut corners. A high crown with large step cut facets bestows more brilliance than the other popular step cut shape, the emerald shape. 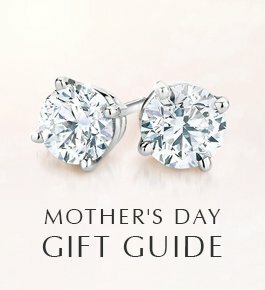 Asscher shaped diamonds are sleek and modern in solitaire settings, and their unique shape perfectly complements vintage-inspired styles. 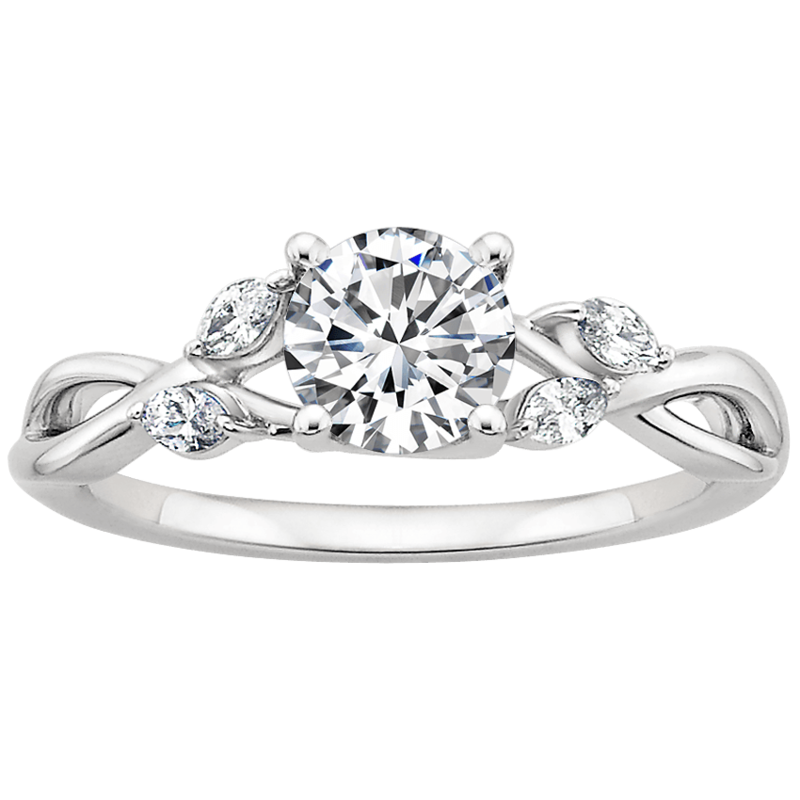 The ever-flattering oval shape is symmetrical and exhibits a similar fire and brilliance to round shaped diamonds. A scintillating twist on the classic round brilliant, the elongated shape can create the illusion of larger size. 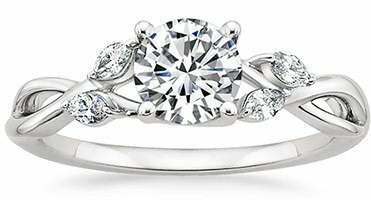 Oval diamonds are highly versatile, remarkably elegant, and distinctive. 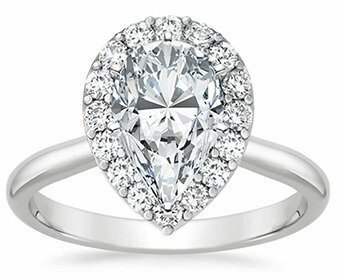 The marquise shaped diamond features pointed ends with a curved middle for an eye-catching look. 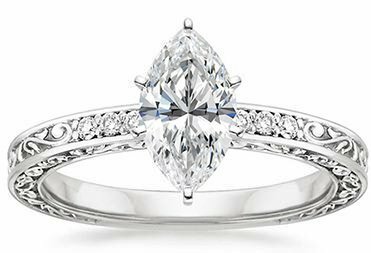 With a larger surface area than any other diamond shape, the marquise shape maximizes perceived size and lends a unique look to any setting style.